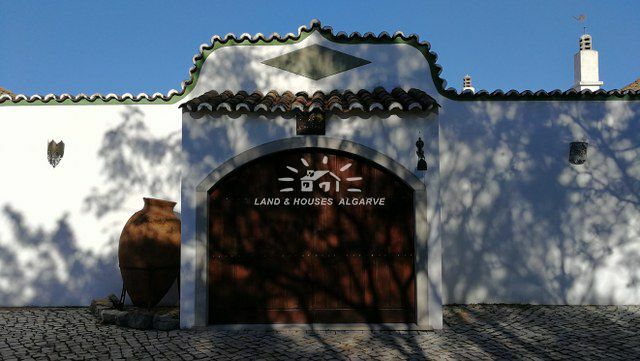 Description: Exclusive hilltop estate offering arguably the best 180 degree sea and coastal views in the Eastern Algarve. 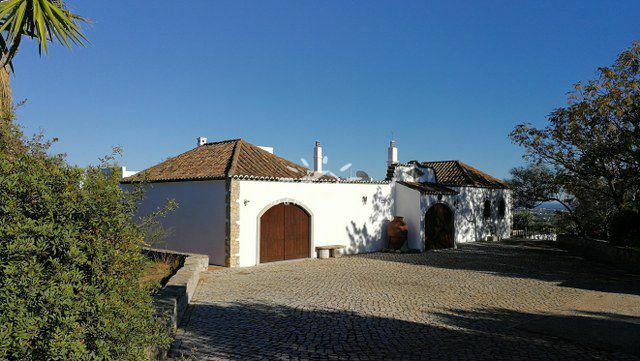 This beautiful property with swimming pool is nestled into the hills of the quaint village of Moncarapacho and impresses with a unique blend of handpicked materials, a fantastic Mediterranean ambiance and good workmanship and finishes. 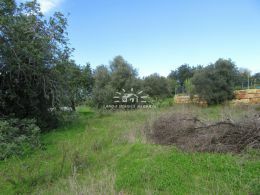 The character filled single storey home is approached via a gated driveway that leads uphill passed the mature plot with numerous olive and carob trees, to the most elevated point of the property. 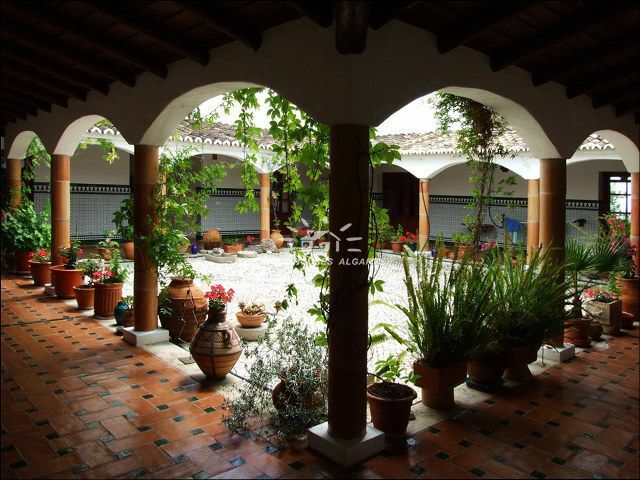 Once you reach the top there is ample space for parking in front of the main entrance which is a large arched double wooden door that opens into a captivating interior courtyard resembling a monastery from centuries ago. Each room of the property oozes originality. 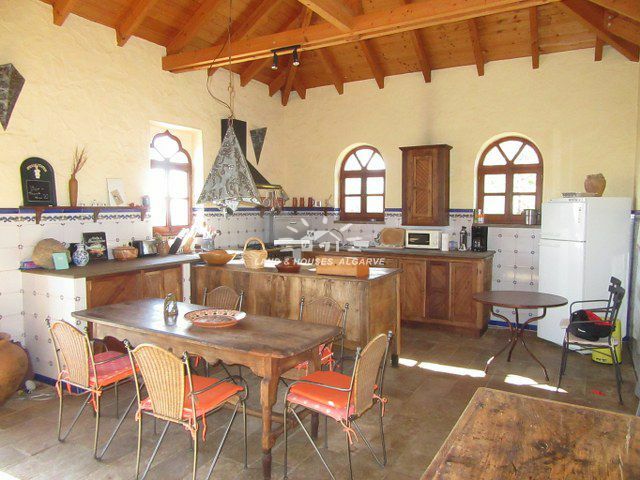 The fully fitted and rustic style kitchen has a high pitched wooden ceiling and an impressive stone wall with integrated bread oven whilst the South facing living room offers a wood burner and unique floor tiles with imprints of stamps used to print Portuguese Sardine boxes. There is a large Master bedroom with wooden floors and a unique en-suite bathroom with a compass laid into the bathrooms parquet flooring. 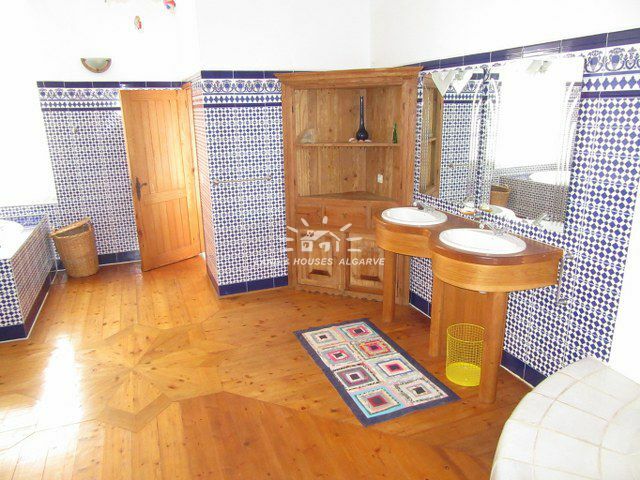 In addition there is a good-size double bedroom, a sunny storage room (currently used as a study), and a Turkish bath with adjacent bathroom and a large garage of 42 m2. 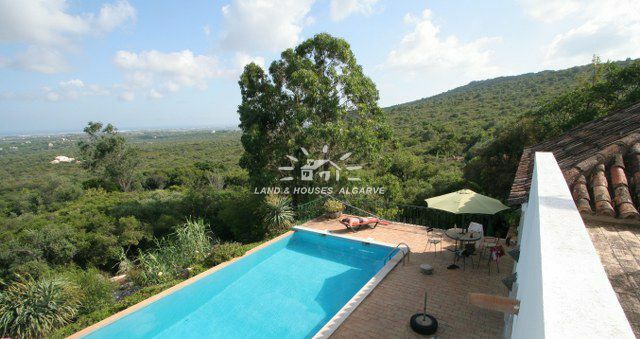 The swimming pool is set on the South side of the villa and enjoys, just as the roof terrace, some of the best views that the Eastern Algarve can offer. Mains electricity, water from private borehole. Septic tank sewage. Distances: Tavira town centre: 19 km; Beach: 6 km; Golf: 22 km; Faro: 23 km; Spain: 42 km. Details: * fantastic views * exclusive, unique property * ample space * fully fitted rustic style kitchen * south facing living room * wood burner * unique floor tiles * storage room * Turkish bath * garage * swimming pool * private borehole * Energy certificate class E.
Plot size: 1296 m2 | Build area: 0 m2 | Bedrooms: n.a.